Clinical Electrophysiologic Examinations (Nerve Testing) is Provided by the Physical Rehabilitation Department. 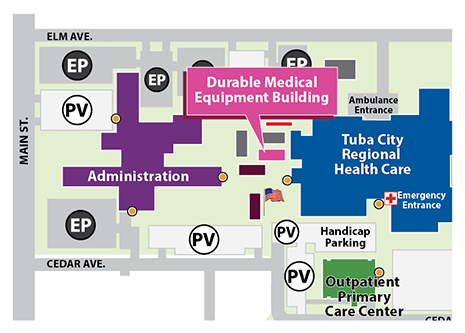 DME Office is located between the Hospital and Administration Building. Durable Medical Equipment (DME) is any equipment that provides therapeutic benefits to a patient in need because of certain medical conditions and/or illnesses.